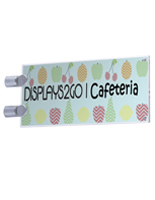 This interior blade sign offers high visibility in commercial, school and professional environments. 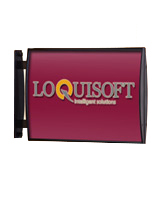 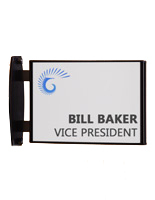 Each landscape-orientation sign display mounts letter-size graphics perpendicular to walls in offices, aisles and hallways. 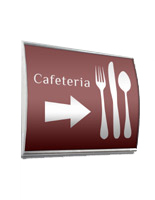 The aluminum bracket blade sign features a slender silver finish vertical bracket with shatter-resistant PVC and acrylic construction. 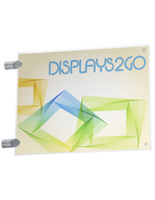 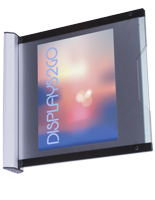 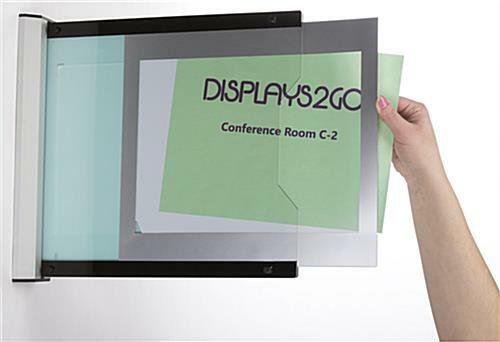 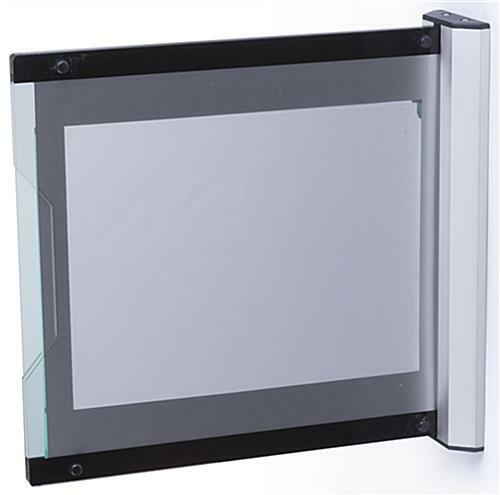 Two gray-bordered acrylic lenses slide into the wall mounted framing to hold and protect graphics. 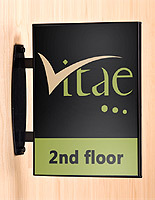 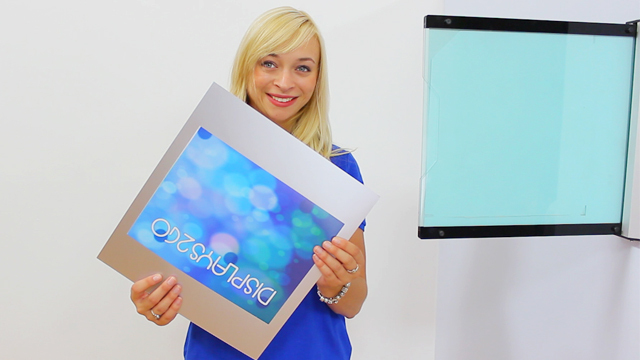 This type of doubles-sided blade sign is ideal for creating stylish directional, wayfinding or information displays. 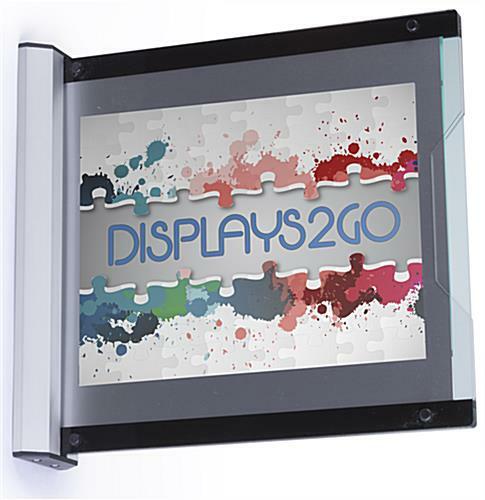 The high visibility wall mount style is an economical way for businesses to create DIY architectural signage that can be easily changed as often as desired. 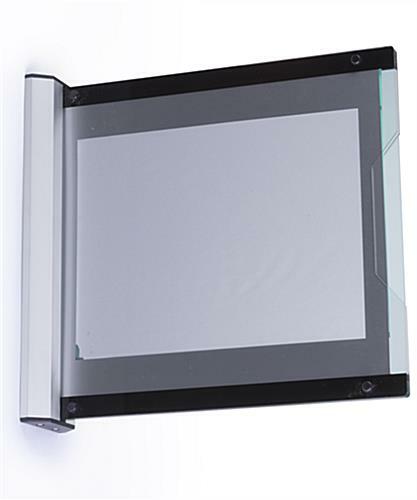 14.3" x 15.0" x 3.1"